The only thing is that it is on the 4th floor, and there is no lift. Other than that everything was perfect! Absolutely nothing to complain about! The room is well-aired but perfumed by dried flowers and herbs (I think), in case there are allergy concerns. Not a hostel, it’s a B and B, with really Lovely rooms, nice host. Decent breakfast. Everything is great basically! Absolutely loved this bed&breakfast! The breakfast was amazing. I felt so spoiled. The room got pretty hot but the fan helped. The bathroom was spotless! The other people that were staying there just weren't very friendly and didn't want to make friends with a solo traveler. 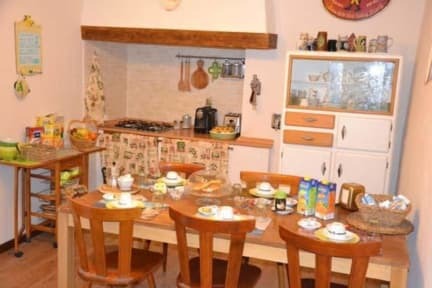 Great location close to local attractions in Trieste. Wonderful host, breakfast was great with local pastries and jellies. Clean room and facilities. Very cute bed and breakfast. I loved the fresh fruit waiting in my room when I arrived. Great location, quiet and clean! Staff was friendly and accommodating. Al Cucherle was a very nice and super cute small hostel in the city center of Trieste. The location was A+ with almost everything you need to see within a very short walking distance, the hostel was clean, breakfast was good and the host was friendly and did her best to explain things and help her guests even though her english wasn't the best. Definitely good value for money. 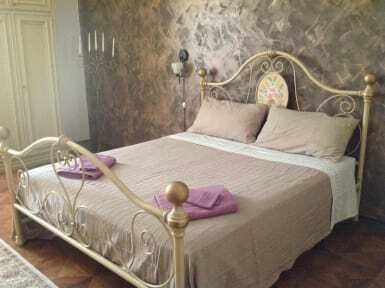 Good location; in city centre of Trieste 10min away from Centrale. There is no air conditioning- only fans. There is no 24 hour reception. Owners are friendly but have very limited English. Single bed room has a very squeaky mattress. Included breakfast is from 8am-9am so you will struggle if you are not an early riser. There is a fridge and basic kitchen you can use to cook. Bathrooms are clean and spacious. No atmosphere but a good place to stay if you want your own space.